With the arrival of autumn this Friday, Sept. 22, comes a calendar full of festivals and events to celebrate the changing of the seasons. As we move beyond the hottest days of summer thoughts turn to enjoying activities in the cooler days of September and October. The Lost Colony Wine & Culinary Festival takes place September 29-30, 2017 at the Duck Woods Country Club. Vintner’s Dinner is served Friday night, Sept. 29 at The Lost Colony, 50 S Dogwood Trail, Southern Shores. NC. Tickets are $125 each. The Grand Tasting will be held Saturday, Sept. 30 at the Sound Stage Theatre. Tickets a re $50 each; designated driver $25. Tickets can be purchased online here. Mark your calendar for the Duck Jazz Festival held on October 7 and 8, 2017 at 1200 Duck Road, Duck, NC. Sponsored by the Town of Duck this festival brings jazz to the Duck Town Park annually on Columbus Day weekend. Enjoy live music from a variety of jazz performers with two full days of performances on two stages at this festival. Food and drinks will be available to purchase from various town eateries and chairs will be available for rent. Attendees are invited to bring food, coolers, chairs, blankets and pets. No beach umbrellas or tents are permitted at the event. The Duck Jazz Festival will be held rain or shine. 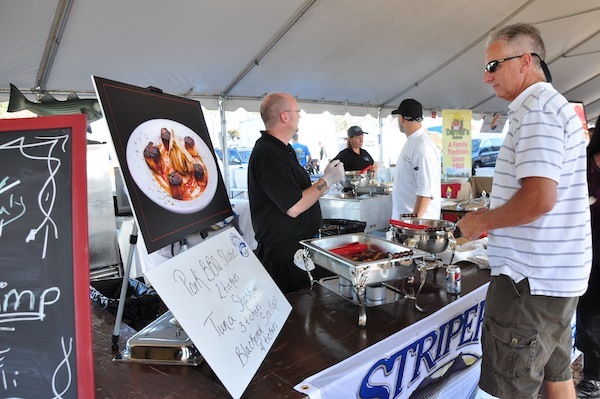 The always popular Outer Banks Seafood Festival returns on October 21, 2017 at 6800 S Croatan Hwy, Nags Head, NC. The festival is a fun and educational experience promoting, honoring and celebrating the area’s seafood heritage and community. The festival offers opportunities to meet Outer Banks watermen and see the tools of their trade, including boats, crab pots and pound nets. You’ll enjoy the educational booths, live music, arts and crafts village and, best of all, the chance to eat fresh, local seafood from more than a dozen restaurants. New this year is an on-site Boat and Tackle Show.